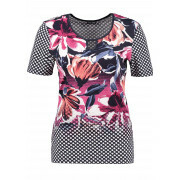 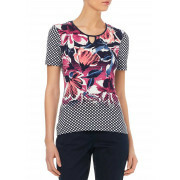 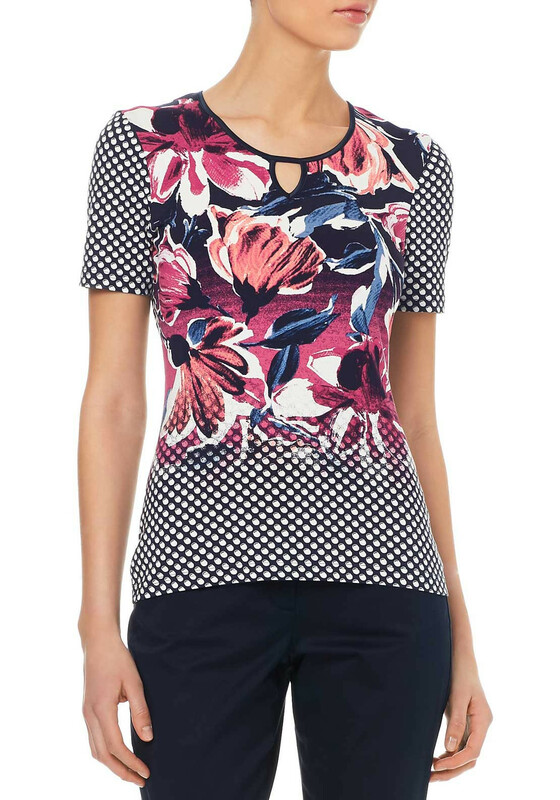 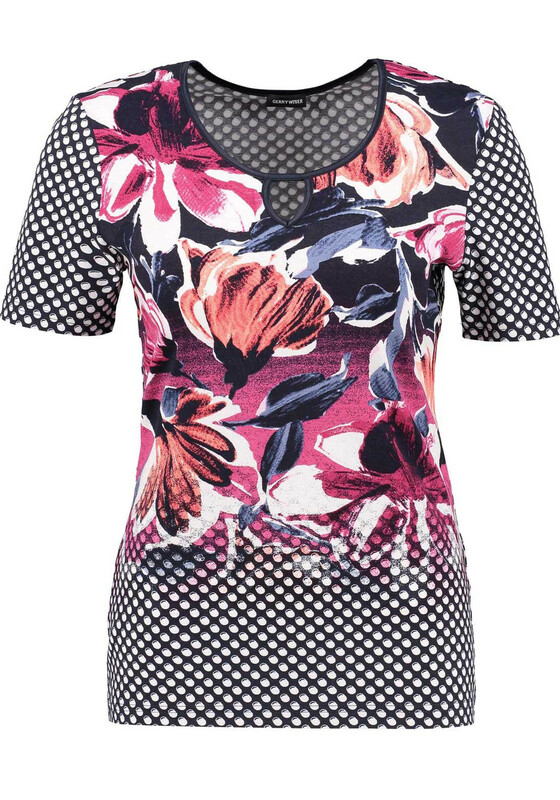 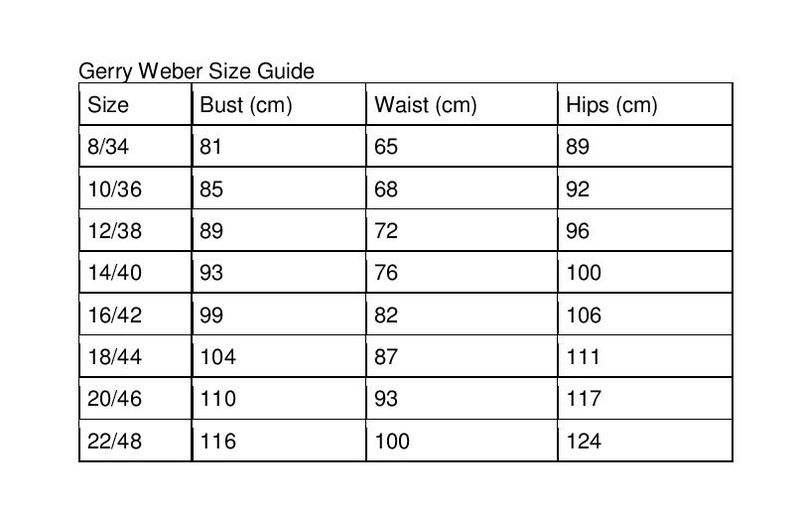 Gerry Weber present this vibrant colourful top that has floral and circle print throughout. 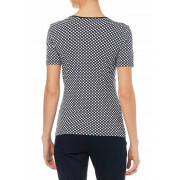 Add a pair of navy trousers to create a smart casual appearance. 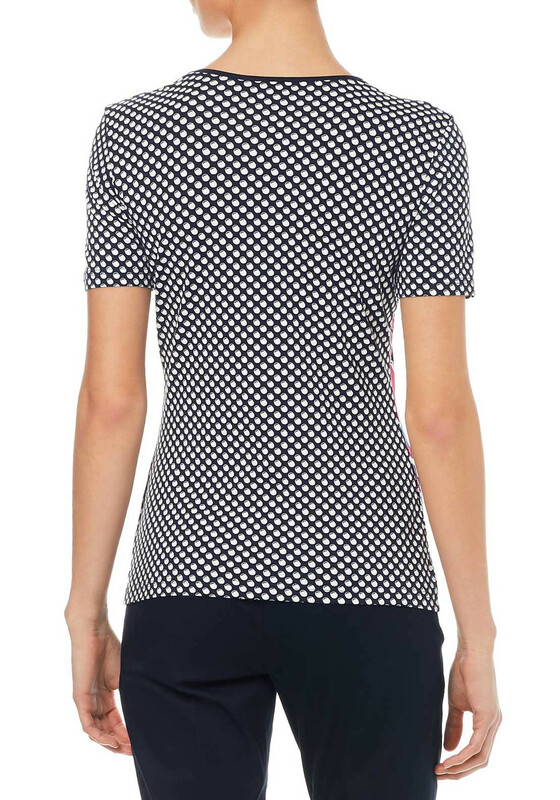 Crafted from a soft stretchy fabric with a rounded neckline with satin trimming and a capped sleeve.